When you visit your doctor and complain of feeling tired all the time, the first things they’ll often check for is anemia or thyroid disorder because you can detect those with a blood test, says Amy Shah, MD. “When a patient says ‘I’m tired,’ it’s such a broad term and could be so many things, but if someone says ‘I’m tired and feeling a little more short of breath,’ or, ‘I’m having trouble exercising,’ that tends to be anemia.” (Don’t miss these other silent signs of anemia.) Anemia is when your blood doesn’t carry enough oxygen to the rest of your body and the most common cause of anemia is iron deficiency. Anemics may also experience feeling cold, dizzy, irritable, or have headaches in addition to feeling tired. When you have high blood glucose, your blood circulation may be impaired so cells can’t get the oxygen and nutrients they need and you feel tired, according to registered nurse blogger David Spero on Diabetes Self-Management.com . (Here are other silent symptoms of diabetes you might be missing.) Low blood sugars levels also result in feeling fatigued, because there is not enough fuel for the cells to work well, he says on the blog. If your high glucose is causing blood vessels to get inflamed by sugar, that chronic inflammation can also make you feel fatigued, according to research. Once you have a diagnosis, make sure to avoid these 9 worst food habits for diabetics . 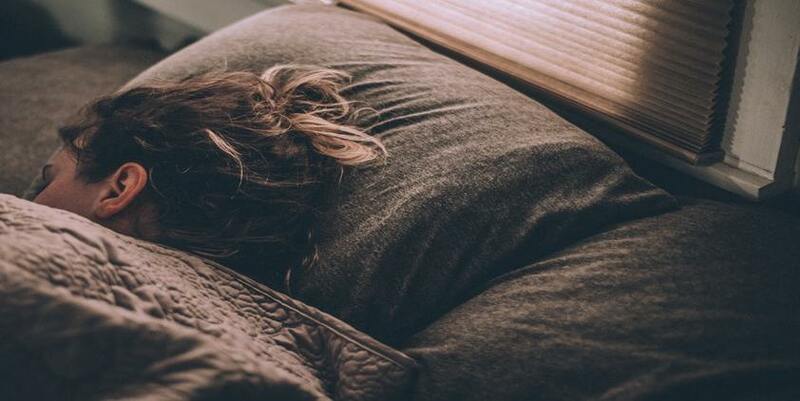 If you feel like you’re tired all the time, don’t want to get out of bed in the morning, and/or have trouble sleeping, you could be suffering from depression. (Don’t miss these other hidden signs of depression .) You primary care physician should do a depression screening during a regular visit, says Dr. Shah. Your doctor can use a screening tool to determine if you’re experiencing an ongoing depressive disorder, or whether a life stressor or alcohol affects your emotional state. “Depression, alcohol abuse, and fatigue are very tightly knit,” says Dr. Shah. Sometimes people will treat depression with alcohol and then be tired, she says. Your gut is supposed to be a very tight tube of cells where nothing from inside of the gut gets into the outside—like a pathway where the body absorbs what it needs without having things enter the rest of the body, says Dr. Shah. “If you’re eating poorly, especially a lot of processed foods, the gut cells can become a looser, net-like structure instead of a tight structure, and proteins that aren’t supposed to be in our bloodstream leak into our bloodstream, which creates an inflammatory response,” says Dr. Shah. The inflammatory response can manifest as bloating, fatigue, moodiness, headaches, or weight gain. (Check out these other symptoms of leaky gut syndrome.) If you have food sensitivities (to foods like wheat and dairy) you can feel fatigued, get rashes, and experience bloating or brain fog. “There’s no real good test for food sensitivities,” says Dr. Shah. For instance, these are 7 conditions that you could mistake for gluten intolerance. Following an elimination diet of possible food culprits and then slowly introducing them back in may help you identify what you’re sensitive to. If you remove all wheat from your diet and feel great, and then add it back and feel lethargic, that could be a telltale sign of a food sensitivity to wheat, Dr. Shah says. “Adrenal fatigue isn’t a Western medicine term, it’s a functional medicine term, and a lot of Western doctors don’t recognize it as a medical [issue],” says Dr. Shah. There’s a disconnect because it’s hard to show with lab testing, she says. Most likely, it’ll show up on tests as adrenal insufficiency, or an endocrine or hormonal disorder that occurs when the adrenal glands do not produce enough of certain hormones, according to the National Institute of Diabetes and Digestive and Kidney Diseases. These hormone imbalances could be brought on by a stressful situation in your life, like family problems, or it could a constant stress at work, lack of sleep, over-exercising, having a poor diet, or drug or alcohol abuse, says Dr. Shah. (Here’s how to stop yawning so you don’t look bored at work.) Those circumstances can push your stress hormones high and then eventually leave you exhausted and depleted, like a bank account that you’re overdrawing on and not putting money back into. Here’s how to boost energy naturally. Doctors will often check for chronic infection as a cause of fatigue due to such infections as the Epstein-Barr virus (mononucleosis) or Lyme disease. Both of these medical issues can present with extreme fatigue. Don’t miss these other 18 silent signs of Lyme disease. Check out these signs you’re about to get sick. If you have sleep apnea, your throat starts to close when you’re asleep, which is why people with the condition tend to snore. (Learn more silent signs of sleep apnea .) Not getting enough oxygen sounds scary, but your brain won’t let you suffocate. “The brain notices you’re not getting rid of your CO2, and it wakes up really briefly in an alarmed state,” Lisa Shives, MD, director of the Sleep Medicine Center at the University of California, San Diego School of Medicine, tells WebMD . Good for your breathing, but bad for your tiredness levels. Even though you keep waking up, those wakeful moments are too short for you to notice, so you won’t get why you’re so exhausted the next day. Try these home remedies for sleep apnea to get a good night’s rest. When you have heart failure, your heart can’t keep up with body’s needs for blood, according to the American Heart Association . Your body will start to bring blood away from body tissues so it can keep vital organs fully supplied. With less blood in your leg muscles, even everyday activities can feel exhausting. (Here are more symptoms of congestive heart failure .) Plus, blood gets backed up in your veins leading away from your lungs and leaks back into them, making you lose your breath suddenly. When you’re asleep, it could wake you up and make for a restless night.